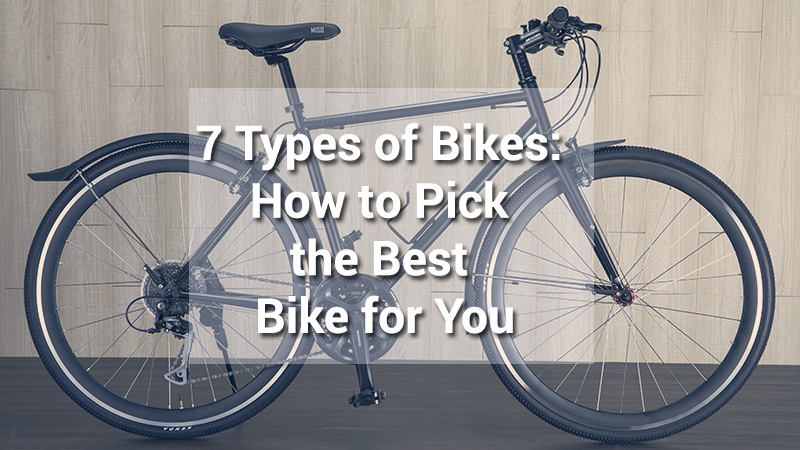 If you are planning to buy a bicycle, this handy guide will help you understand the different styles of bicycles, the various options, and the features you may want to consider. The first thing to think about is where you plan to be riding. If you are going riding with friends then it is best to have a bicycle of a similar style to the ones that they are using. There are significant differences in bicycles depending on what type of surfaces you will be riding on. A street bike that is lightweight and designed for speed on smooth surfaces is very different from a mountain bike that is stronger and designed to be used on rough surfaces under harsh conditions. 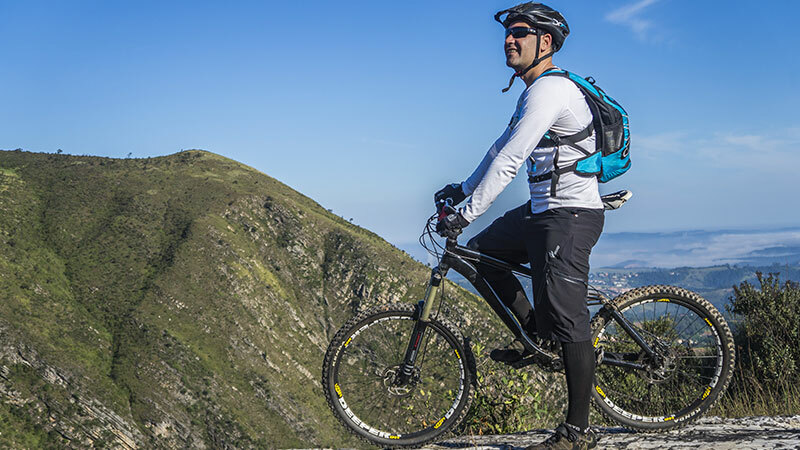 Here are seven categories of different styles to consider that include, exercise bikes, street bikes, mountain bikes, racing bikes, extreme sports competition bikes, work bikes, and three-wheelers. Exercise bikes include those that are stationary, such as the types found in gyms and bikes designed to maximize the exercise routine when riding in the streets. Another interesting accessory that can be used with any regular bike is a stationary bike stand. The stand holds any regular bike in position as the wheels turn on rollers. A bike stand is very convenient to have for getting exercise when the weather is bad. Popular models of stationary exercise bikes are FitDesk, Schwinn, Exerpeutic, Sunny Health & Fitness, Keiser, and Diamondback Fitness. There are hundreds of choices for street bikes. Besides choosing an attractive style, make sure you buy a bike that is the correct size for your weight and height. The choices of street bikes include road bikes that are designed for going longer distances. These are lighter weight bikes and have handlebars that curve downward like a ram’s horn. They usually have at least ten gear speeds. Another popular style is the cruiser bike. This type of bike is ridden while sitting upright. They are very comfortable and sturdy. They are best for going short distances. There are also commuter bikes designed for daily use going back and forth from work. Companies that produce street bikes, as well as other styles, include Giant, Trek, Bianchi, Fuji, and Cervelo. Mountain bikes are made to be really tough. The tires are wider and there are strong shock absorbers to take the rider over jumps, down steep trails, and riding over rough terrain. They ride well through mud and water. The handlebars are higher than regular street bikes. The rider sits upright. The seat is padded so that the rider can land hard and not be hurt. Popular mountain bikes are made by Santa Cruz, Kona, Scott, Cannondale, and Merida. Triathlon bikes are used for racing long distances at high speeds. These bikes can be used for exercise as well as in races. Many use a triathlon style bike for high-impact cardio workouts while sprinting on the bike. The idea is to sprint on the bike at top speed for fifteen minutes, rest for five minutes, and then repeat. Some of the triathlon bikes are Boardman, Wilier, Canyon, Scott, Cognalo, Focus, Look, and Merida. These bicycles include a special type of bike designed to do tricks. The one gear “fixie” style bikes do not have any brakes and they do not coast. They are used for trick jumping, riding down rails, and bouncing from one platform to another one. Another style is the BMX bikes that are used for off-road racing and stunts. Extreme sports competition bikes are made by Mongoose, GT, Haro, Wethepeople, Fit, Sunday, Cult, Odyssey, Kink, Subrosa, United, and Stolen. These are rugged bikes that are used daily for work, such as for a messenger service. The best bikes for this purpose are called hybrids because they have the features of the fast speed of a road bike and the sturdiness of a mountain bike. A few models that are good for a working bike are the Specialized Sirrus Comp, the Trek Steel District Bike, the Cannondale Bad Boy Disc, and the Jamis Coda Elite. Three-wheelers are frequently used for hauling. They are very stable. They usually have a large basket in the back and can also be used to pull a cart. Many are modified to use as a sales cart for food items, refreshments, and ice cream. Elderly adults like to use a three-wheel bike to run short errands and pick up groceries. There is also a special version of a three-wheeler that is called a recumbent bike. It has a large seat that is low to the ground. Popular three-wheelers include the Kent Bayside Adult Tricycle, the Sunseeker, the Torker Tristar, the Schwinn upright three-wheeler and the Schwinn Triton Pro Ultimate recumbent three-wheeler. There is a bicycle style for almost everyone. Riding bicycles is good for your health. For your personal protection, be sure to wear safety gear and a helmet.